ACSPRI's Summer Program will run over 3 weeks in January and February, 2019. We will be offering courses at the Australian National University in Canberra & the University of Melbourne. For information about our venues and accommodation, scroll to the bottom of this page. Step 1: Log in to the ACSPRI website (you can create an account or request a new password if required). Please register using your email address from your member organisation. The account should be in the name of the person taking the course. Alternative billing details (e.g. for a Finance Officer) can be entered later if need be. Step 3: Select the title of the desired course to see the course outline page. Scroll down and select "Add to cart" , check (yes or no) whether you are a full time student, and proceed to checkout. Step 6: Check your invoice/receipt (under the course title) to see if your course has been confirmed to run at the program. If it has not yet been confirmed, you will receive an email when a sufficient number of bookings has been received and the course has been confirmed. Please do not book your travel and accommodation until your course has been confirmed to go ahead. Without the pre-requisite background, you are likely to get little value from the course and could adversely affect the experience of others in the course You should check the pre-requisites of your desired course in the course outline page. If you are still unsure about your level of preparedness for the course, you can contact ACSPRI, who will forward your query to the course instructor. 1. BOOKING - ACSPRI does not accept ‘expressions of interest’ for course places, i.e. all bookings, are considered firm, and a cancellation fee of $250 is charged if you cancel your booking after the early-bird date. The fee is forfeited in full if cancelling one week before the start of the program. Please note if exceptional circumstances arise, please contact ACSPRI ASAP. 5. CERTIFICATES - Participants will be awarded a completion certificate apon full attendance of the course. If a participant does not attend the for the full period, a part attendance certificate (nominating the number of days attended) will be awarded instead. You can find a campus map here. During the school year the majority of the student residences are full with long-term residents and cannot offer short term accommodation, but over summer (i.e. late November through to early February), some colleges will offer accommodation on a casual basis. Enquiries for ANU on-campus accommodation during the Summer break will have to be made to the individual colleges on Campus. Colleges offering Summer accommodation include Burgmann College, John XXIII College, Ursula Hall, and Toad Hall. You can find general links to all the student residences here. 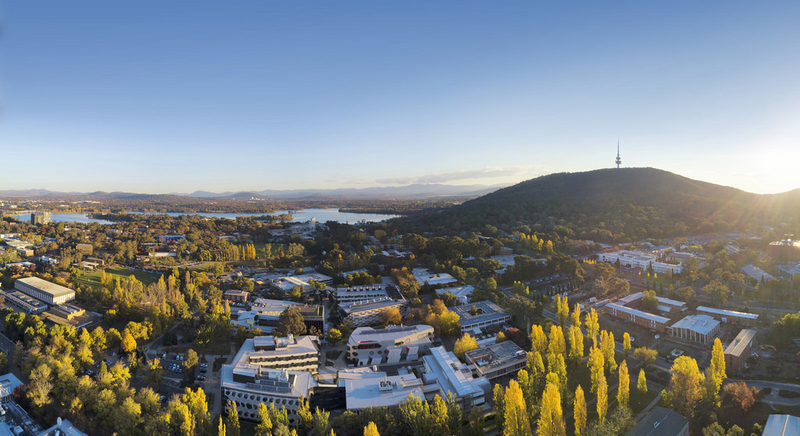 Quest Canberra is in downtown Civic, a short 10 – 15 minute walk from the ACSPRI locations within the ANU Campus. The apartment hotel consists of 37 rooms most of which are fully self-contained perfect for a short or extended stay, in the CBD close to restaurants and shops. Further accommodation alternatives are available here, or you can try various websites including Visit Canberra, Wotif.com, lastminute.com or Airbnb. There is limited parking available at ANU. For your casual parking options visit here. If you would like to catch the bus or find other transport options, you can find out about transport to & around the campus here. Each course runs from 9am to 5pm, Monday to Thursday and 9am to 3pm on Fridays (unless otherwise notified). This allows plenty of time for travellers to get to the airport on Friday. Each day, breaks are scheduled for 10.30-11.00, 12.30-1.30 and 3.00-3.30. The University of Melbourne's Parkville Campus one of the oldest and largest university campuses in Australia. It is located just beyond the Northern border of Melbourne's CBD. Lygon Street and Carlton Gardens are located a short walk to the East, Queen Victoria Market to the South and Royal Park to the North West. A campus map is available here. The campus is centrally located so there is a huge variety of accommodation options available. Virtually any accommodation in Parkville, Carlton, North Melbourne and the top part of the CBD will be within easy walking distance. Even outside those areas, the university is walkable or a short tram ride. Please note that Melbourne University is outside the Melbourne CBD free tram zone. A number of on-campus residential colleges are listed here, most of which are about a 10 min walk from where most ACSPRI courses will be held (cnr Pelham and Berkerley Sts). Some of these may have casual, short term accommodation available but you will need to contact each one directly (Graduate House, International House, Newman College, Trinity College, Medley Hall, University College and Queens College). If you're looking for a hotel near the University, we suggest googling 'hotels near The University of Melbourne' and you'll get many options. You can also choose to stay in the Melbourne CBD and take a tram to the campus. Please note that Melbourne University is just outside the CBD's free tram zone & you will need a public transport card - MYKI, to travel to the University. Inspectors regularly check for tickets outside the free tram zone & there is a subsantial fine for not having a validated MYKI card. The Parkville Campus is well serviced by trams with numerous routes from the Inner South and South East travelling travelling through the heart of the CBD on Swanston Street, past Flinders Street and Melbourne Central Train Stations and on to the University. Some of these routes continue on to the inner-North. If you are staying in the CBD, there are also several routes that travel up Elizabeth Street, which runs past the bottom SE corner of the campus, very close to the FBE and Spot Buildings, where we hold our courses. All metropolitan train lines will stop at Flinders Street if not Melbourne Central as well. A journey planner for all of Melbourne's buses, trams and trains can be found here. Please note that Melbourne University is outside the Melbourne CBD free tram zone, please use a valid MYKI card or risk a fine. A MYKI card is the only ticketing system available for travel on Melbourne's public transport system. Visitors to Melbourne can find out more about myki and how to use Melbourne's public transport here. As mentioned above, Melbourne University is just outside the CBD's free tram zone & you will need a public transport card - MYKI, to travel to the University. Inspectors regularly check for tickets outside the free tram zone & there is a substantial fine for not having a validated MYKI card. If travelling up Swanston Street by tram, the best stop is at Lincoln Square, the stop after Queensberry Street and three stops before the main campus entrance, where several routes terminate. Pelham Street is on both sides of Lincoln Square, you will need to cross the square and walk up the other section of Pelham Street for five minutes. If travelling up Elizabeth Street, the best stop is just before the large junction of Elizabeth Street, Flemington Road, Pelham Street and Peel Street, which has a large Australian flag on a pole in the middle of it. This is also the stop after Queensberry Street. From here you should be able to see The Spot Building 130m away on Pelham Street. If driving, all day parking is available fairly close to The Spot and FBE Buildings. Public parking typically fills up around 9am or just after. It is approximately $20 per day with access via Bouverie St or under the Alan Gilbert building off Berkeley St. You can access a list of public car parks and their fees and charges here. Courses run from 9am to 5pm, Monday to Thursday and 9am to 3pm on Friday (unless otherwise notified), allowing for interstate travellers to get to the airport. You will be advised in advance of where and when to meet for registration before the start of the course week. The Spot Building (Bld 110) is the tall spotty building located on the corner of Pelham and Berkeley Sts. From there you will find out your course location, which will either be in the same building or the FBE Building next door (Bld 105).